Word use : Ni one os Boy = My friend... gimmie a hundred shillings? Reverse Sheng for the Sheng word so which is in-turn derived from English adverb "so" and related to things being "so big". 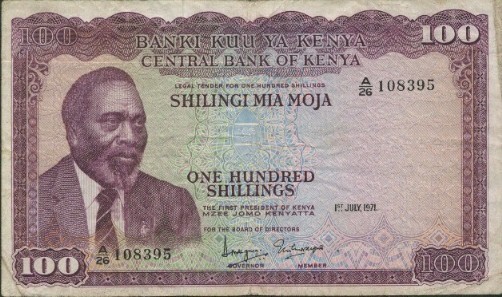 Its use in denoting a hundred shillings stemmed from the fact that the for a long time, the largest denomination in Kenya was the 100 Shilling note. It was not until 1986 that the larger 200 shilling note was introduced.